We maintain a small flock of these little gems, selecting for strong conformation, gentle personalities and high egg production. Unfortunately, we cannot ship birds or eggs at this time, as the post office is not open when we are home! We occasionally have eggs and stock available for local pick-up. 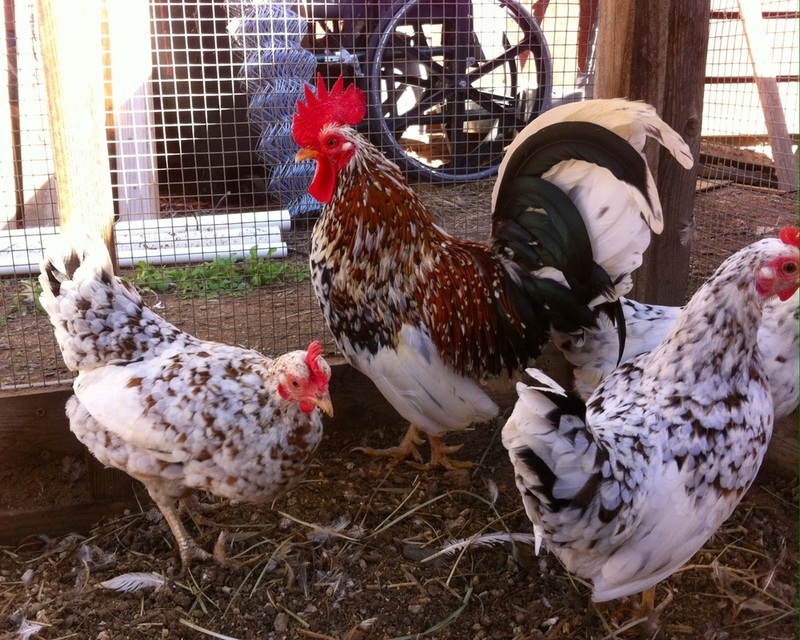 Odin the All-Father, left side, with some of his hens. Odin the All-Father, right side.